Details for Marella Celebration can be found below. 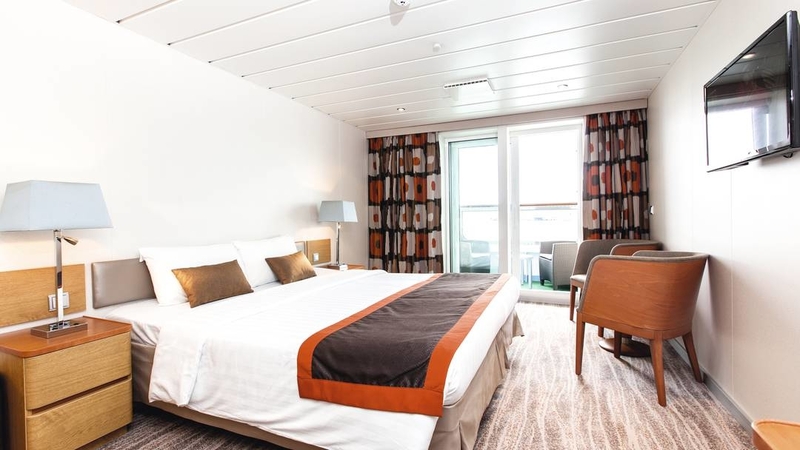 Deluxe cabins are located on decks 6-8 and measure a roomy 19m². They have a picture window, a minibar, and a table and chairs for relaxing. A queen-size bed or twin beds make for a good night’s rest. Just so you know, a folding bed sleeps a third person, and some cabins have parallel twin single beds. The en suite bathroom has a shower over a bath, and a WC. These cabins have 2 single beds side by side in an L-shape, or a queen-size bed. 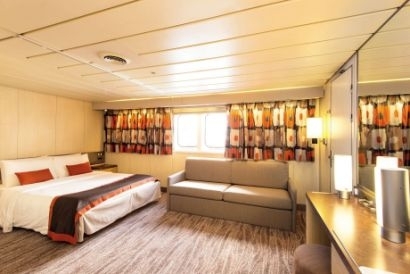 Our 3- and 4-berth cabins have twin beds and upper berths that fold away, plus extra wardrobe space.The en suite bathrooms have a shower and WC. Size-wise, you’ve got 13-16m² of space. 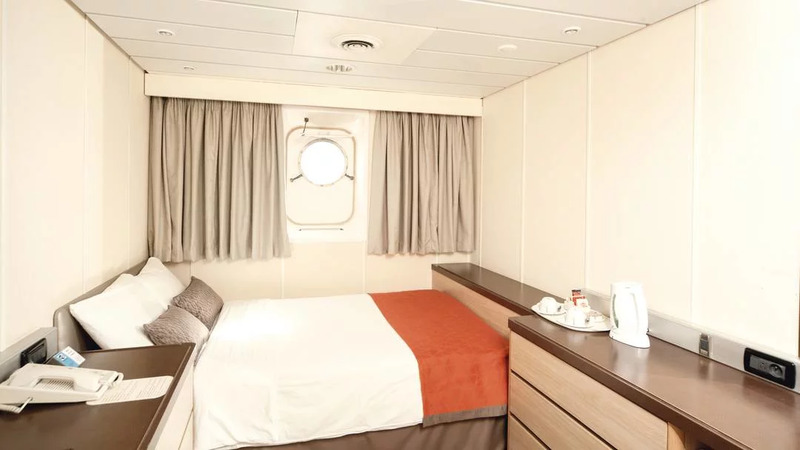 All outside cabins have portholes and are 13-16m². You’ll get 2 beds side by side or in an L-shape, or a queen-size bed. 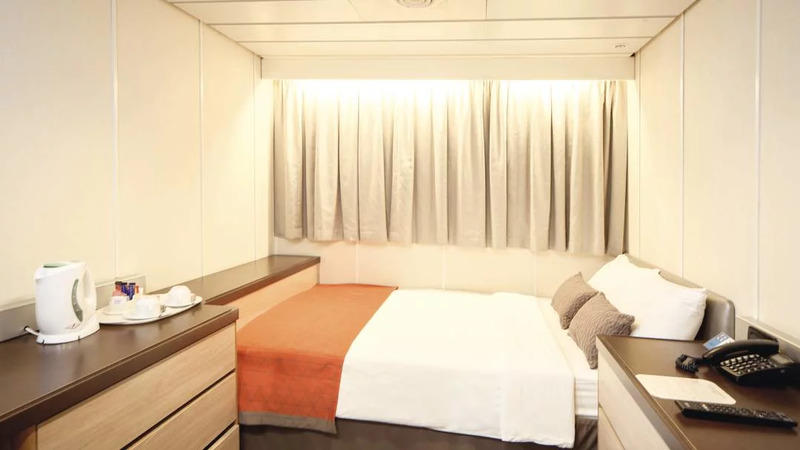 Our 3- and 4-berth cabins have twin beds and upper berths that fold away, plus extra wardrobe space. The en suite bathrooms have a shower and WC. 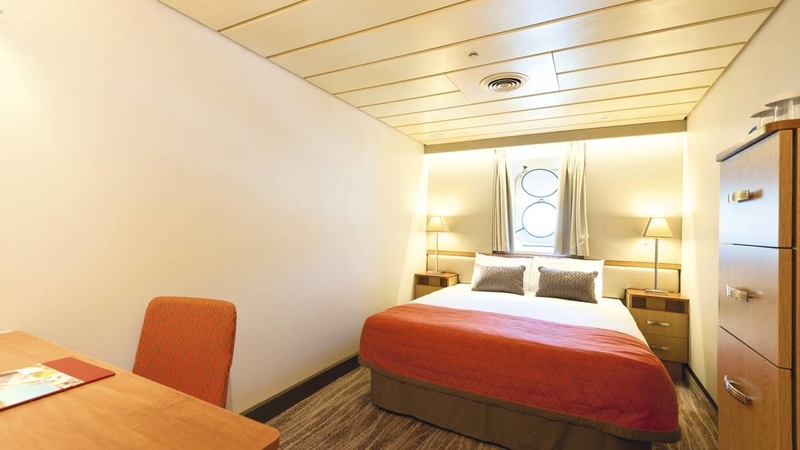 All outside cabins have portholes and are 13-16m². You’ll get 2 beds or a queen-sized bed. 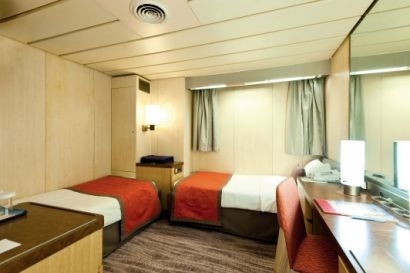 Our 3-4 berth cabins have twin beds and upper berths that fold away, plus extra wardrobe space. These cabins come with an en suite wet room. Treat yourself to one of our 20 Suites on decks 7 and 8 and you’ll be staying in a handsomely-sized room – 26-27m² – with a separate living area and bedroom. There’s a sofa and a table and chairs when you’re ready to relax and enjoy the sea views from your picture window, while a king-size bed will help you get a good night’s sleep. The sofa converts to a bed for a third person. The en suite bathroom has a shower over a bath and a WC. 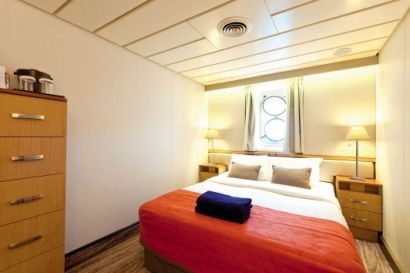 To ease you in to cruise life, we provide a minibar and an iPod docking station. Contemporary colours and dark wood furnishings give it all style appeal. write a review of Marella Celebration.